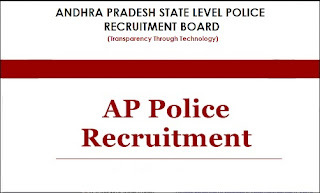 Andhra Pradesh State Level Police Recruitment Board (AP-SLPRB) has released a notification for the recruitment of 3,137 vacancies. Out of which 384 posts for SI and Deputy Jailor, 2,753 vacancies for constable Jail warder, and Fireman. The education qualification for the Sub Inspector posts in civil, AR, APSP categories is Degree. Age of the candidates should be in between 21 and 25 years as on 01-July-2018. The age, education qualification for the constable recruitment will be released soon in the official website. For more information please go through the official notification of the Andhra Pradesh SLPRB here: http://slprb.ap.gov.in/job-list.